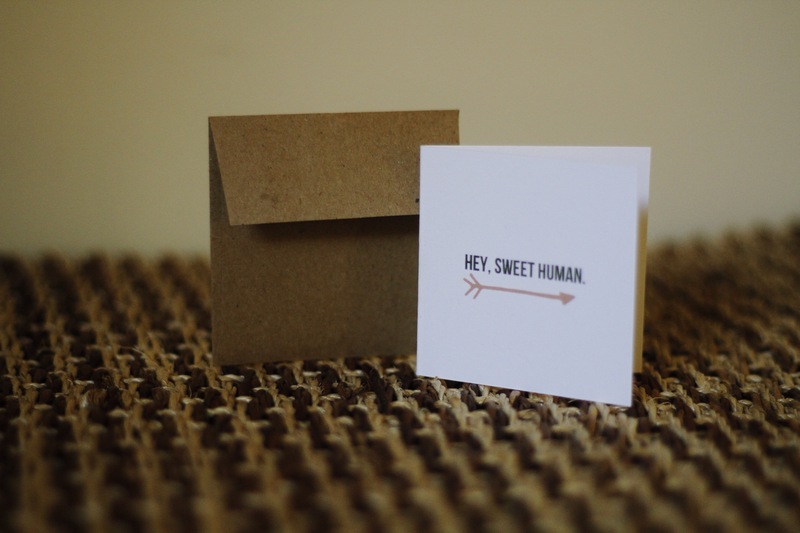 I am super excited today to announce that Hey, Sweet Human cards are now officially available! 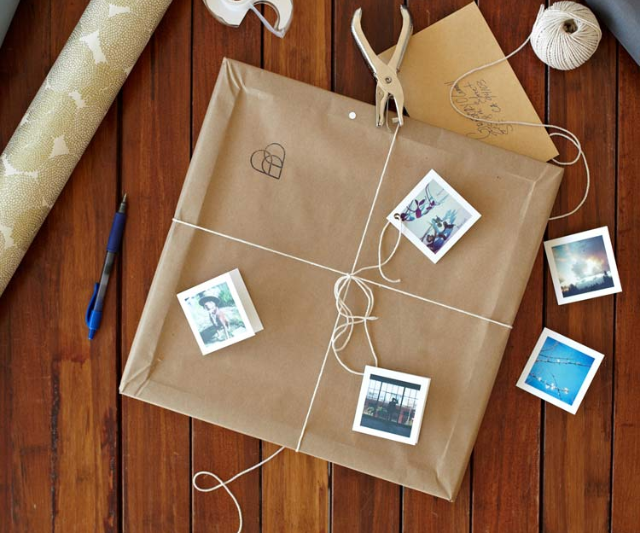 These simple gifts of encouragement are a tiny way for you to show a great deal of love. Whether it’s for a friend who needs some uplifting from you, or an anonymous random act of kindness for someone you see everyday (your local barista, mailman, or someone who seems to be having a tough day or brings light to your life), these cards are your way to keep spreading the message that the individuals around you are seen, noticed, significant, and loved. Why 24 cards, why $24? On average, a young person (24 and younger) dies by suicide every 2 hours and 12 minutes. Suicide is the eleventh leading cause of death for all Americans and the third leading cause of death for young people under 24 years old. Taking the time to say, “I see you”, “I care”, “You are loved”, changes and saves lives. 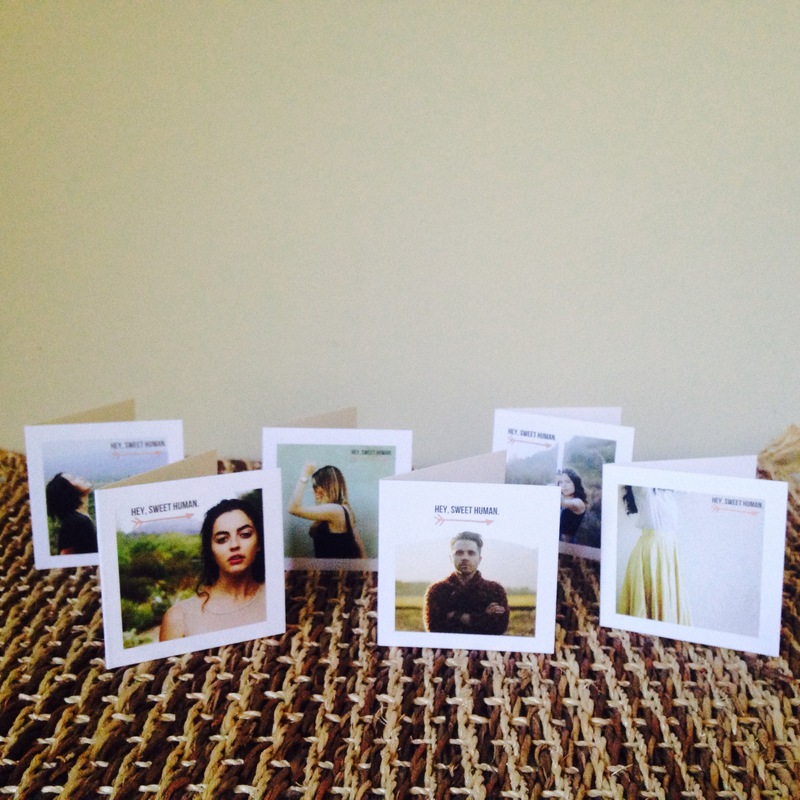 ***70% of proceeds from these cards will go to the American Foundation for Suicide Prevention, the other 30% for production cost to make these resources for all you sweet humans. Choose your 24. Inspire 24. When you click the add to cart button, you will have the option to type a paypal message. 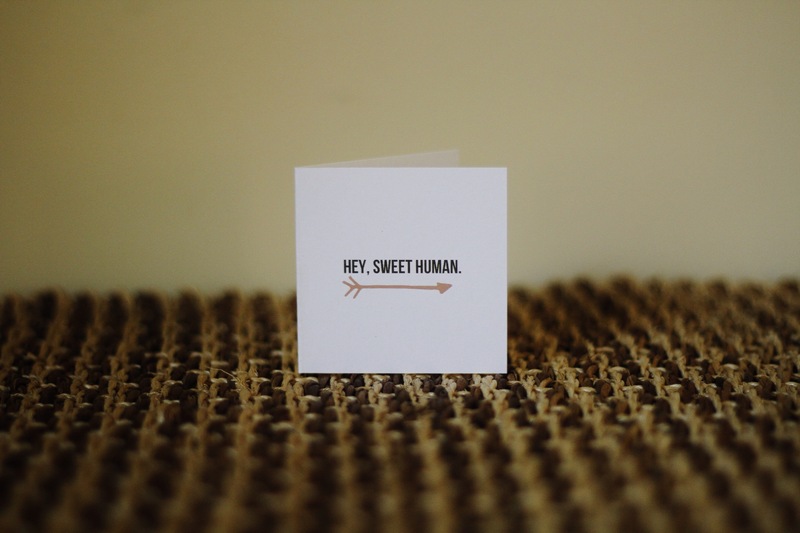 If you don’t specify, we will send our classic cards that say, “Hey, Sweet Human.” But you are able to choose between our classic, inspire, photo, or combo cards. 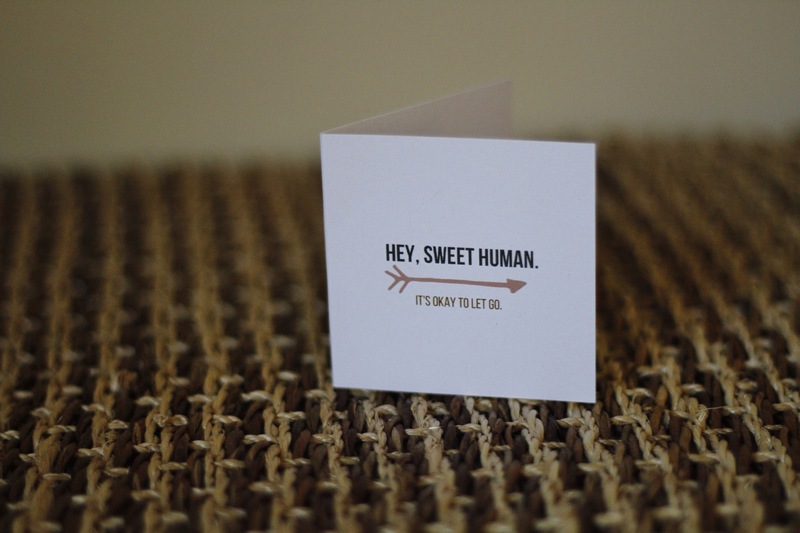 24 of our classic Hey, Sweet Human cards. A collection of 24 different images along with our Hey, Sweet Human greeting. Buy now by clicking the “add to cart” button below. -It takes 2-3 business days to process and print your order, before shipping. -Shipping will be adjusted for you once you enter your zip code at checkout, and typically takes 1 week. -Most orders are shipped by USPS.